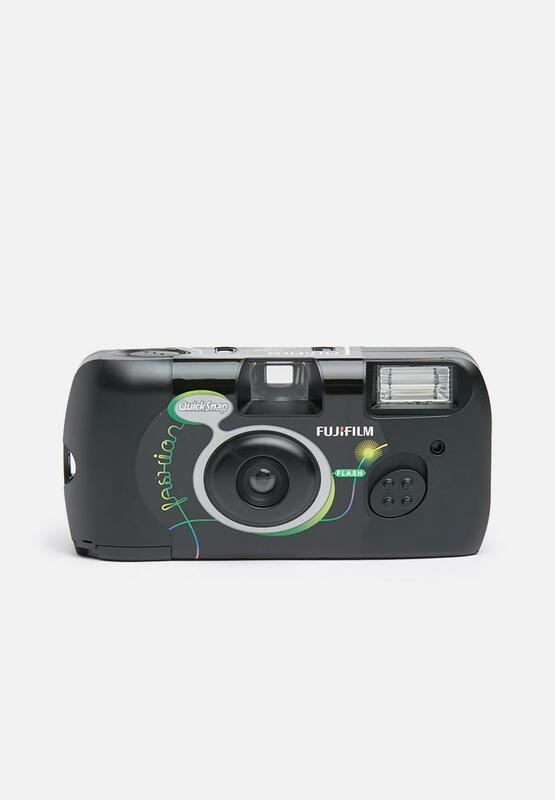 The disposable Fujifilm QuickSnap V400 Single Use Camera is preloaded with a 27 image Superia X-TRA 400 Film, while its 4th Color Layer Technology delivers sharp and clear colour photos in a variety of scenarios. 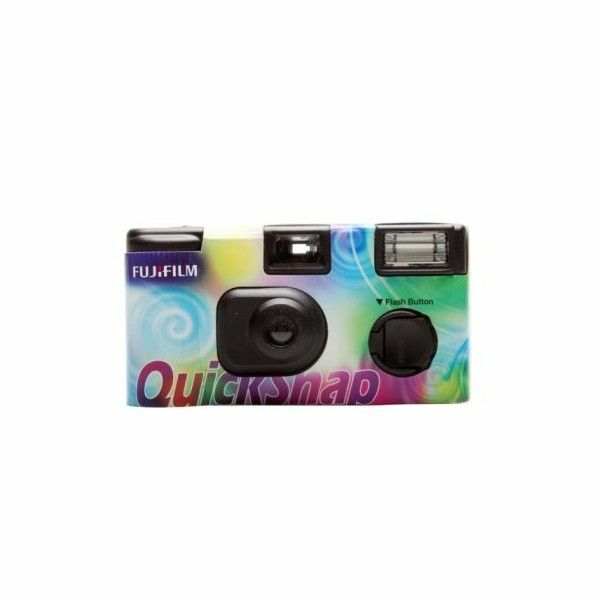 It's fun, convenient and easy to use camera which is ideal for children to practice taking pictures with or when you don't want to... Fujifilm QuickSnap Outdoor 800 is a disposable camera with fixed-focus lens, preloaded with Superia X-TRA 800 35mm film with 4th Color Layer Technology that delivers accurate true-to-life color reproduction, the camera does not have a built-in flash. The large viewfinder allows for easy photo composure. The QuickSnap Flash 400 camera is a one-time-use camera which delivers sharp, brilliant color prints. The built-in 10-foot flash and up to 27 exposures make it perfect for any indoor or outdoor shooting scenario. Compact and easy to use, you can capture precious memories easily and quickly. Waterproof down to 10 meters, the sporty QuickSnap Marine with high-speed Superia X-TRA800 film is a true, all-purpose outdoor camera. QuickSnap Flash The ideal go-anywhere single use camera that performs equally well outside, or indoors with flash. 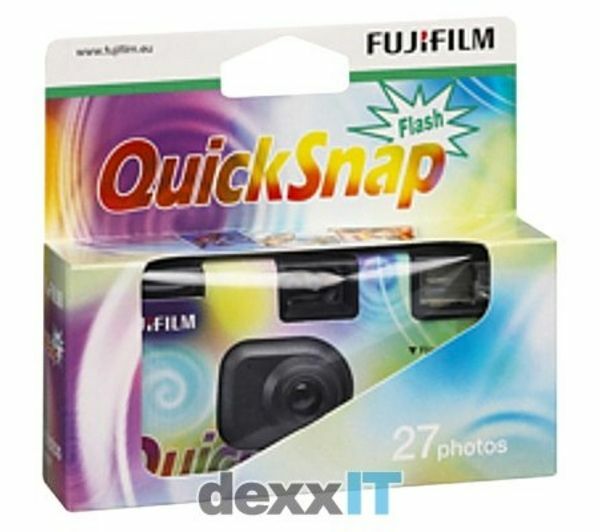 QuickSnap: film with a lens. A world in which everyone can enjoy photography! In 1986, Fujifilm launched FUJICOLOR QuickSnap, the single-use camera it developed to allow anyone to easily take beautiful photographs. For over 40 years, we have developed literally millions of rolls of film and we still love it! Most of us have been doing it for a long time – A.J., Ronnie, Joe, Emmanuel, Aimee, Nancy, Chris, Glen, Keith, Jay, Cyrus, Philip – all with at least 10 years in the craft.